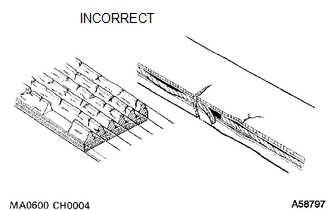 (a) Check the belt for wear, cracks or other signs of damage. 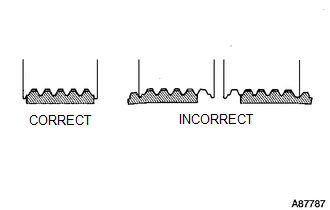 If any of the following defects is found, replace the V-ribbed belt. The belt is worn out to the extent that the cords are exposed. The belt has chunks missing from the ribs. (b) Check that the belt fits properly in the ribbed grooves. Check with your hand to confirm that the belt has not slipped out of the groove on the bottom of the pulley. If it has slipped out, replace the V-ribbed belt. Install a new V-ribbed belt correctly. 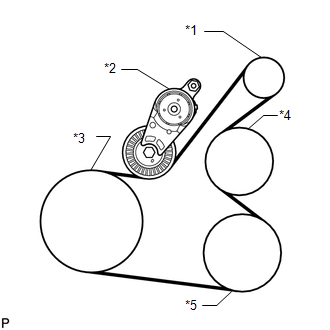 (a) Check that nothing gets caught in the tensioner by turning it clockwise and counterclockwise. 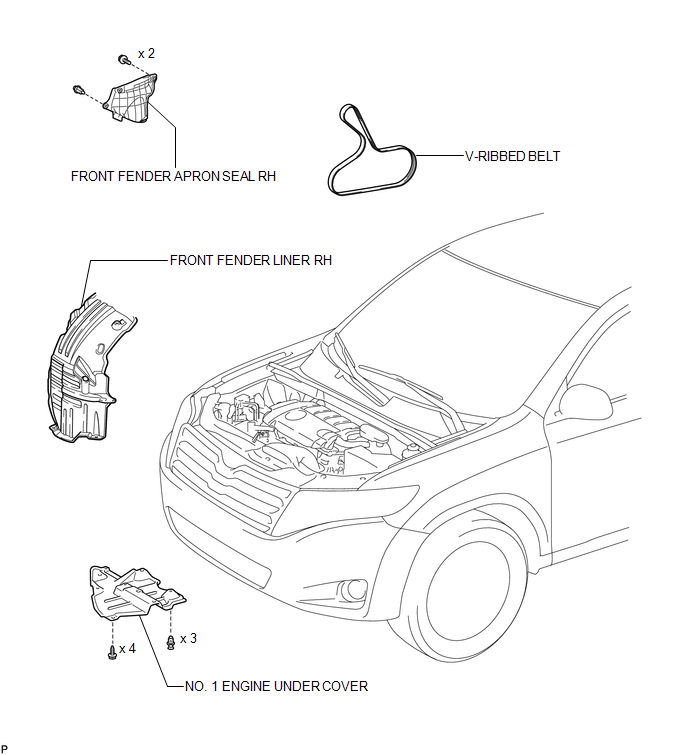 If a malfunction exists, replace the V-ribbed belt tensioner. 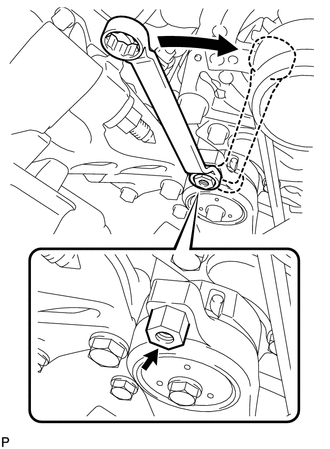 (a) Attach a wrench to the hexagonal portion of the belt tensioner as shown in the illustration, rotate the belt tensioner clockwise, and remove the V-ribbed belt. (a) Set the V-ribbed belt onto each part as shown in the illustration except the water pump pulley. (b) Loosen the V-ribbed belt by turning the belt tensioner clockwise. (c) Set the V-ribbed belt onto the water pump pulley. Make sure that the belt is attached to each pulley. In particular, make sure that the belt is securely fitted into the grooves of the crankshaft pulley.